1. A lightbulb with a tropical scene that you'll never want to cover with a lampshade. Now you can get Miami vibes on demand. 2. A watermelon door mat for totally suc-seeding with your decor. Water you waiting for? Get it! Get it on Amazon for $26.45. 3. A precious flask to keep your latest batch of love potion in. You know it works because we are IN LOVE—with this tequila. Get it on Ban.do for $19 or Amazon for $25. 4. A giant monstera leaf rug for when you can't keep the real thing alive. You don't have to water it, but you do have to wash it. Get it on Urban Outfitters for $200. 5. A simple enamel pin of Haku from all-around gorgeous movie Spirited Away. Get it from whitewidewoods on Etsy for $10.65+. 6. A holographic makeup stick for a sci-fi worthy look. The future looks bright (and shimmery). Get it on Sephora for $28. 7. A claw-some set of highball glasses covered in playful cats. Perfect for soda, lemonade, water, or something of the alcoholic purr-suasion. Get four on Urban Outfitters for $19. 8. 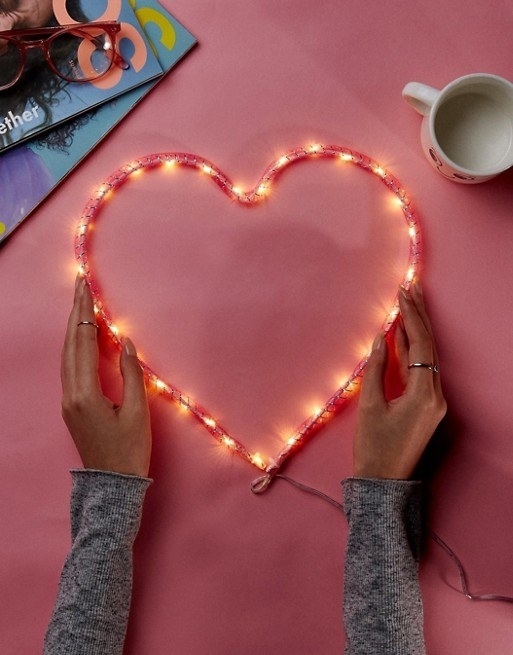 A wrap-around heart light that will make you feel all warm and fuzzy every time you look at it. 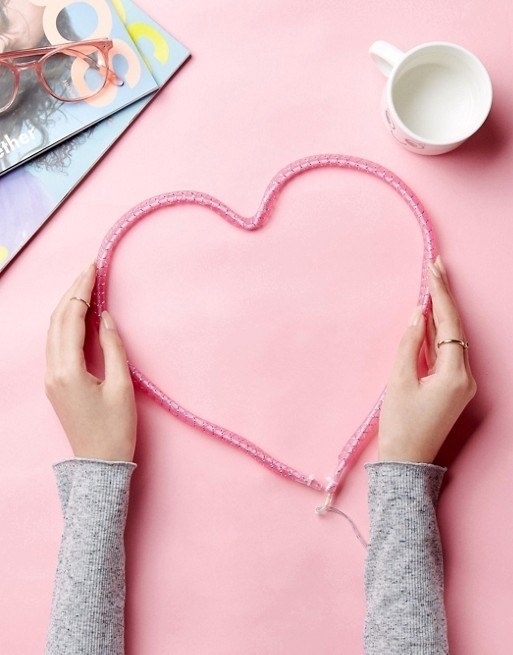 It's like a Valentine for your home. Get it on Asos for $21. 9. 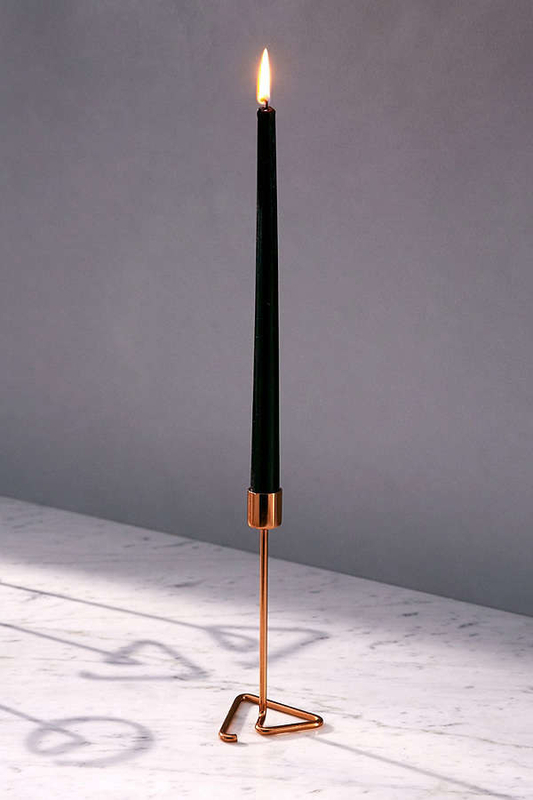 An ethereal desk light for anyone who's ever wanted to lasso the moon. Total super villain move, but OK.
10. A black and gold anatomy book that puts Grey's to shame. The classiest way to display your macabre interests. Get it on Amazon for $25.62. 11. 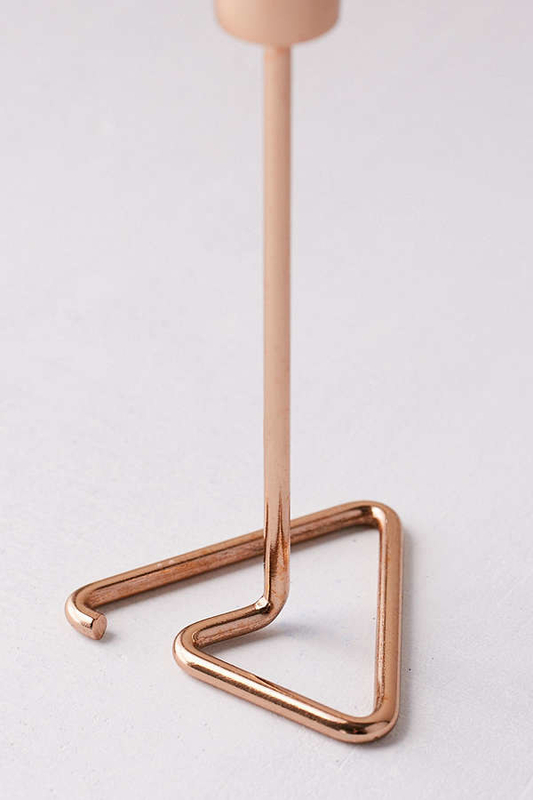 A contemporary candle holder for creating the perfect ambience. Get it on Urban Outfitters for $12 (available in two colors). 12. A deck of rainbow cards that might be a little hard to play with, but are definitely not hard on the eyes. There's a whole spectrum of games to play. 13. 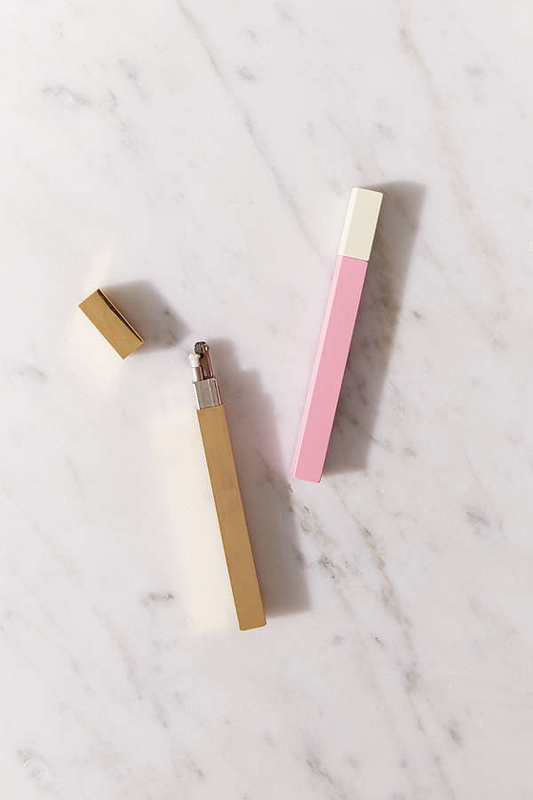 A lighter so simple and sleek, you'll feel like an art curator every time you use it. 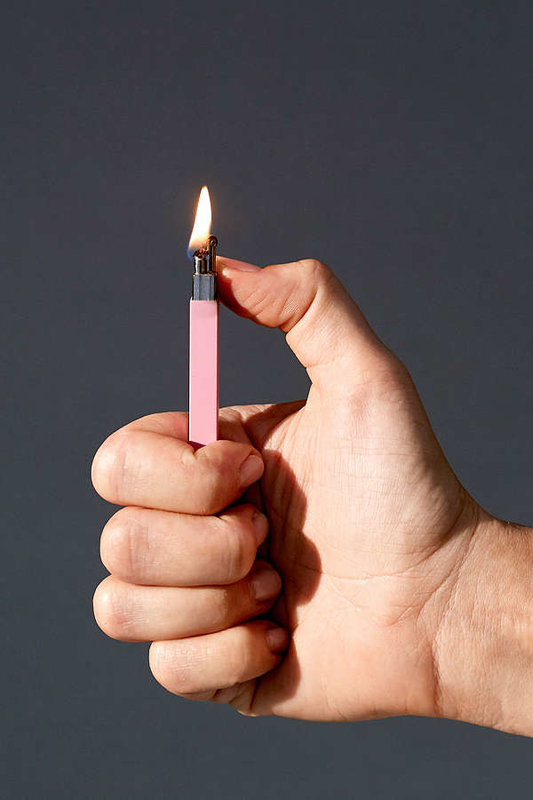 "Need a light?" —you, constantly. Get it on Urban Outfitters for $30. 14. A colorful keychain that asks a question we've all been asking a lot lately. Get it on Urban Outfitters for $9.99. 15. A mystical looking perfume probably favored by new age wizards and alchemists. Each bottle comes with an entrancing little gemstone inside. Get it on Urban Outfitters for $24 (available in five scents). 16. 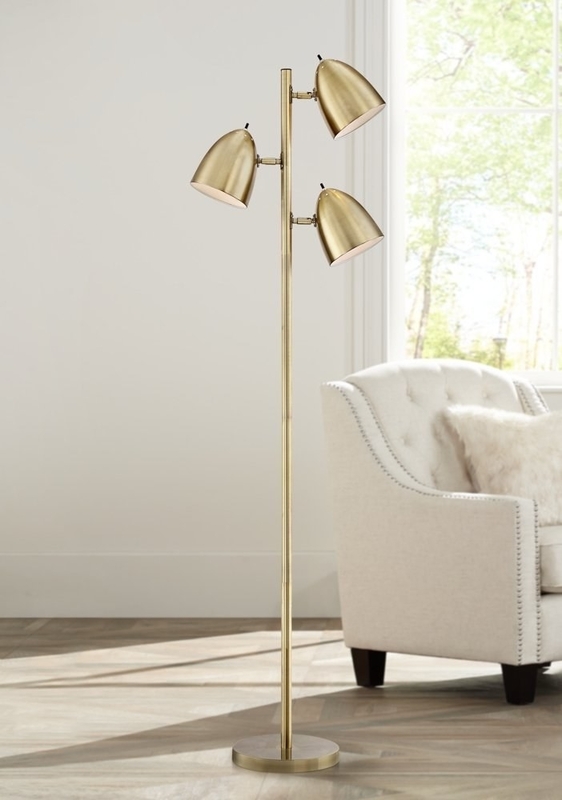 An elegant brass lamp for a contemporary style. Get it on Amazon for $49.95. 17. A roll of eye-catching removable wallpaper. Get it from KateZarembaCompany on Etsy for $36+. 18. A string of rainbow garland for adding a pop of color to any room. Every fledgling leprechaun needs this. Get it on Land of Nod for $12. 19. 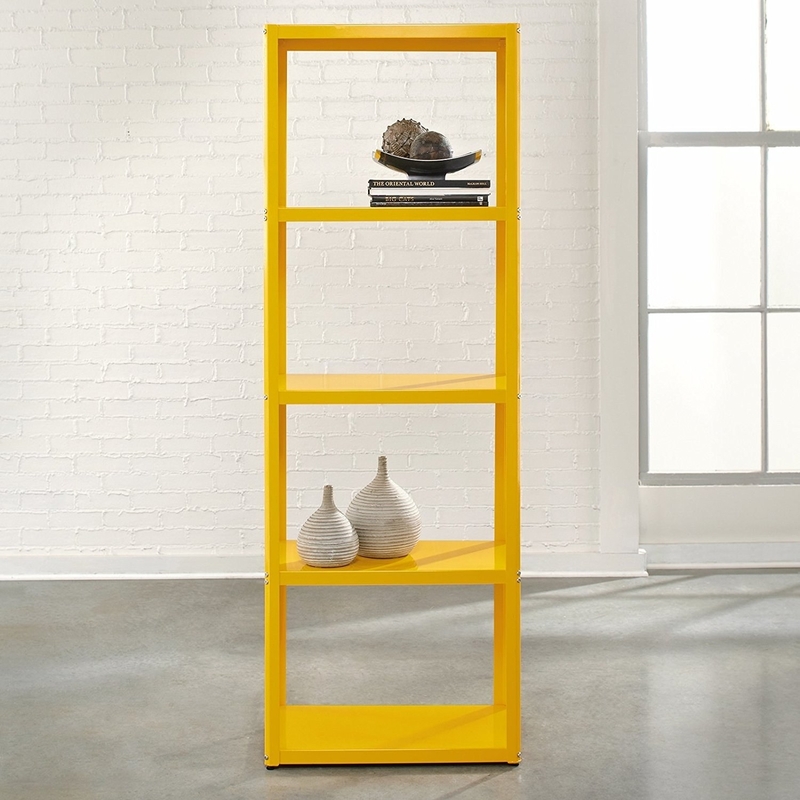 A sunny bookshelf that looks like it would be right at home in the MoMa bookstore. 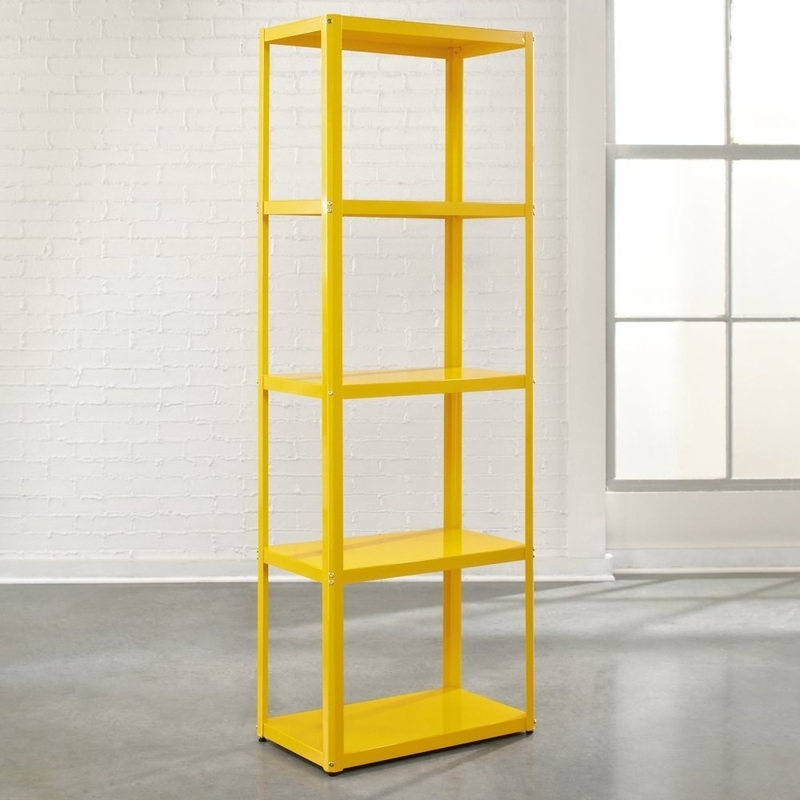 Think of all the art books you can put on this baby. Get it on Amazon for $109.30. 20. A handful of gold binder clips for looking a billionaire at the office. They say dress for the job you want, and that includes dressing up your memos. Get it on Amazon for $3.70. 21. A mermaid sequin pillow that changes from gold to rainbow when you pet it. Real mermaids don't do this, so if you see one, don't pet them. 22. A box of far out lollipops filled with the celestial scenes. Get the whole world in your mouth. Get 10 on Amazon for $25.95. 23. An impossibly luxurious golden armadillo snow globe you won't be able to stop shaking. Like this snow globe, we're shook. 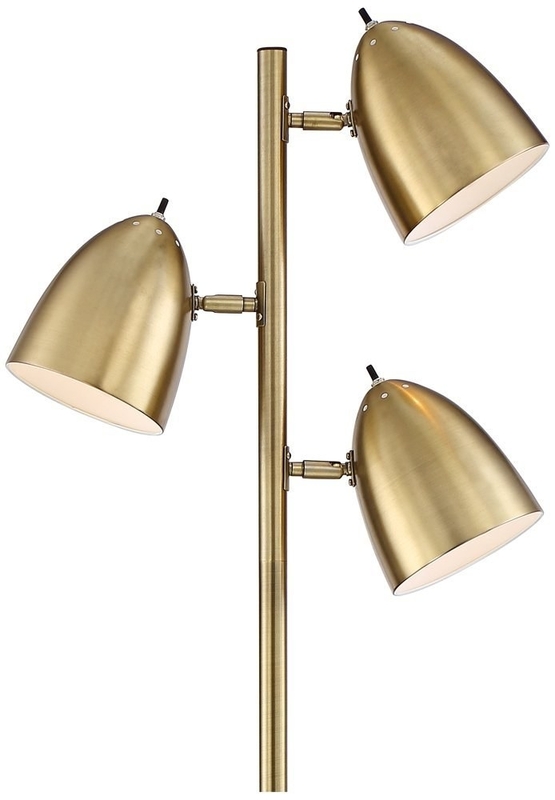 Get it on West Elm for $14.99. 24. An amazingly intricate patch of The Grand Budapest to wear on your sash once you perfect your Courtesan au Chocolat recipe. Wear it next to your art theft badge. Get it from ForTheLoveOfPatch on Etsy for $4.99. 25. A set of rainbow glitter makeup brushes for truly magical people. 26. A beautiful, glowing watch inspired by the night sky for stargazing anywhere. The seconds hand even has a little crescent moon on it. Get it on ThinkGeek for $35.99.